Can you imagine getting married at this beautiful church?! The original image has already been sold, but prints are now available in the The Ink Lab. 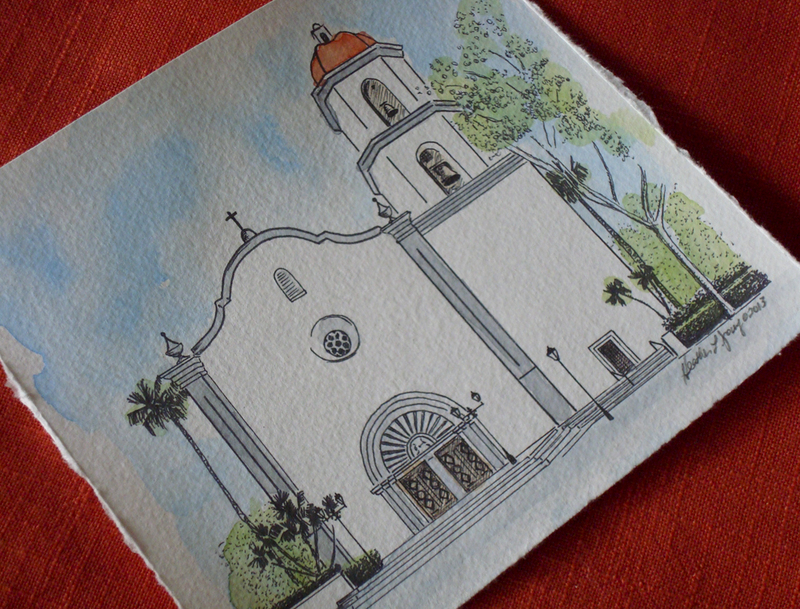 Hand painted and signed prints measure approx 6.5 x 6.5 inches with a small border for framing. Reblogged this on Sound Art Creator. « House Portraits for Christmas!